This is our present for you, be our guest! From the 7.01.2013 until the 14.01.2013 be “U inn Berlin”! We invite you to spend a few days in Berlin. Our Special Offer for you: Pay for 2 nights and stay the 3rd night for free. If you book this special offer you’ll also get a free beer on check-in. How about that? Go straight to our Booking Page and send us your booking request for the above-mentioned dates. Please note that you have to mention that you want to book the “BNG-Special” and we’ll take care of the rest. 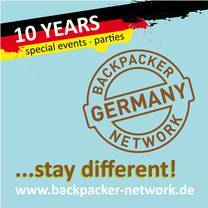 This entry was posted in Hostel, Offer and tagged Backpacker Network Germany, special offer, U inn Berlin Hostel by U inn Berlin Hostel. Bookmark the permalink.